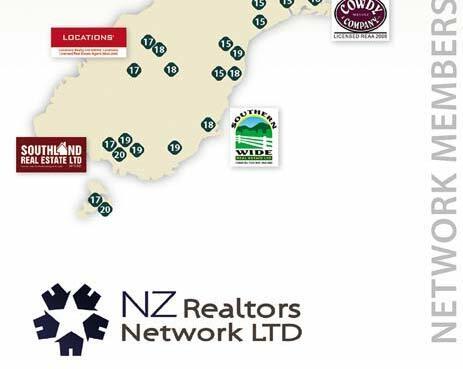 Property Brokers, as an independent company, is proud to belong to the New Zealand Realtors' Network Limited, the largest (in dollar terms) referral group in New Zealand, made up of independent real estate companies who cover the length and breadth of New Zealand. Most are Number One in their marketplace in New Zealand. 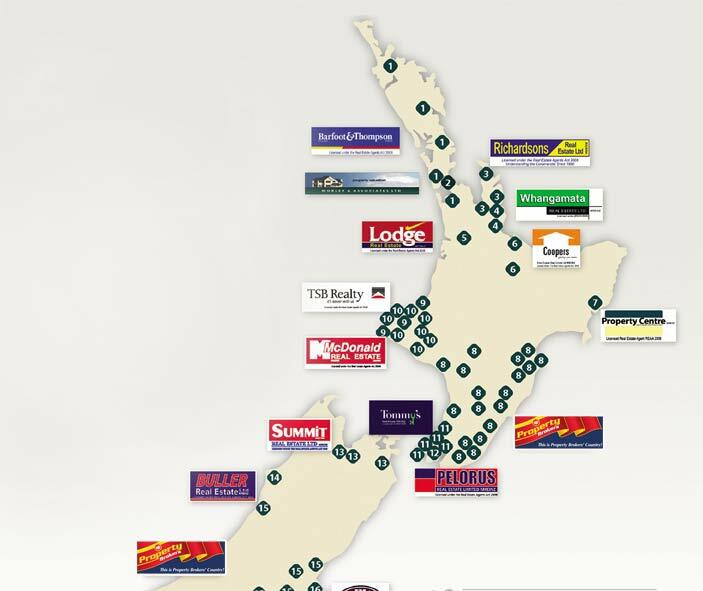 In Auckland, Barfoot and Thompson control 35% of that huge market, in Wellington, Tommys Real Estate control in excess of 25% of that market and right throughout New Zealand Property Brokers are dealing with strong, independent, successful companies. We are proud to be part of this strong network. We receive a lot of referrals that help us to sell properties throughout our regions and we know if we send for information for any of our customers we get back authoritative, effective information. So if you are looking to shift, ask your Property Brokers' salesperson to recommend someone to you in the town you wish to live. We can also get information for you, if you wish, of homes, lifestyle or rural properties that are for sale there.